A story of a 4000+ km adventure in ‘Elsie’ the Land Cruiser in a wee convoy taking supplies to Diema. The call came completely out of the blue. And I couldn’t have been in a better position to jump in with both feet when it did. 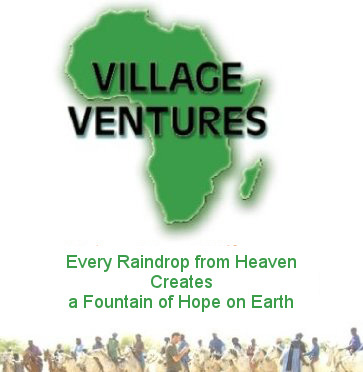 Out of work and wondering what I should do with my life, the opportunity to go on a ‘rally’ of sorts from Spain south through the Sahara Desert with Village Ventures could easily be seen as an answer to my prayers. What’s more, I had given a fair bit of thought to doing some volunteer work, to broaden my horizons and spend some time outside of the developed world, inspired by a visit to Kenya a year before. In fact, it was there that I met Pamela Young, the good friend with the same name as Village Ventures’ Pam who put made our connection. What started as a part of a conversation over a meal in Kenya ended up being a 4000+ km adventure not so long after. In fact, it was a matter of only a few days, from saying ‘Let’s do this’ to actually getting behind the wheel of ‘Elsie’, the Land Cruiser I’d be spending a lot of time in, and hitting the road with Pam in the other Toyota that made up our wee convoy. It was an exhilarating feeling being on the threshold of something which for me was so significant, such a departure from my comfortable, Western lifestyle. I probably wasn’t even prepared for how much of a departure it was meant to be: sleeping curled up in or sprawled on top of a vehicle at filling stations and police checkpoints, eating camel meat and drinking their milk, the illogical waiting game of visa applications and border crossings, saying goodbye to basics like running water, electricity and of course, the internet. It wasn’t easy at times, but it was a heck of a rush quite often. Bless Pam and her contacts. It was a pleasure to meet and spend time with some of her many friends along the way, helping me begin to get an understanding of Village Ventures’ many and various achievements in improving many Africans’ outlook with the means to make drinking water, tap into solar energy or fight diseases like malaria and cholera effectively and independantly. The network of people and programs established along her much-travelled route between southern Spain and Village Ventures’ base in Diema, Mali and beyond is made up of people who really and truly believe in what Village Ventures does and can do at the grass roots level for children, families and their communities. Pam’s passion is contagious and her ability to get other people involved in her projects, pushing them forward or bringing them to life, is a powerful thing to witness. There’s no doubt that this experience has moved me deeply and I hope that its effect will remain present with me for a long, long time. I’m sure that this is one of those experiences in life that very rarely present themselves, much less get repeated. Having said that, if that call were to come again and I was in a position to drop everything and go, I’d be back on that ferry from Europe to big, beautiful and often mysterious Africa in no time at all. Written by Sean who accompanied Pam on her trip back to Diema this year.